Hello everyone! I’m so excited to be back. 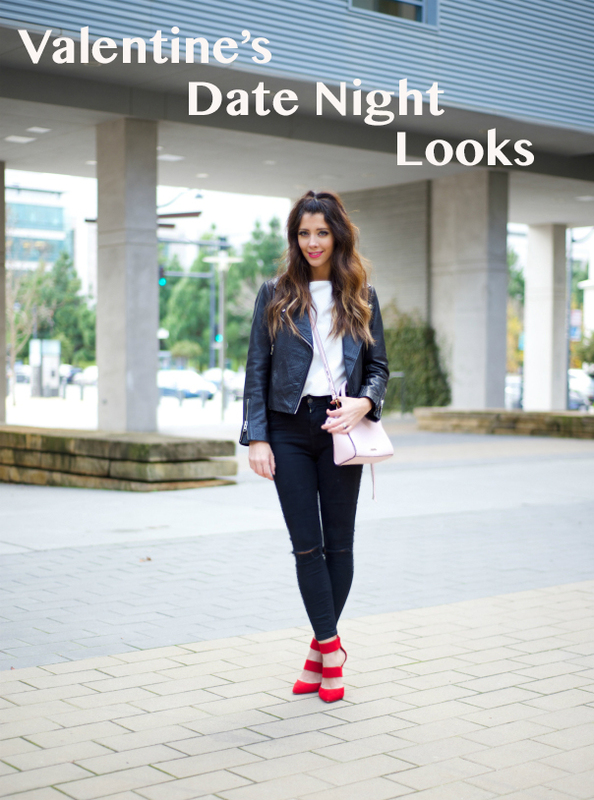 This month I am sharing some easy and simple Valentine’s date night looks. I want to show how easy it is to find something in your closet and turn it into the perfect attire for your hot date, or even a girls night out. My favorite way is by adding a pop of red and pink. I love both colors but a pop of both of them together with black & white is my “go to”. It’s a classic look, yet it’s is so simple and still looks so chic. 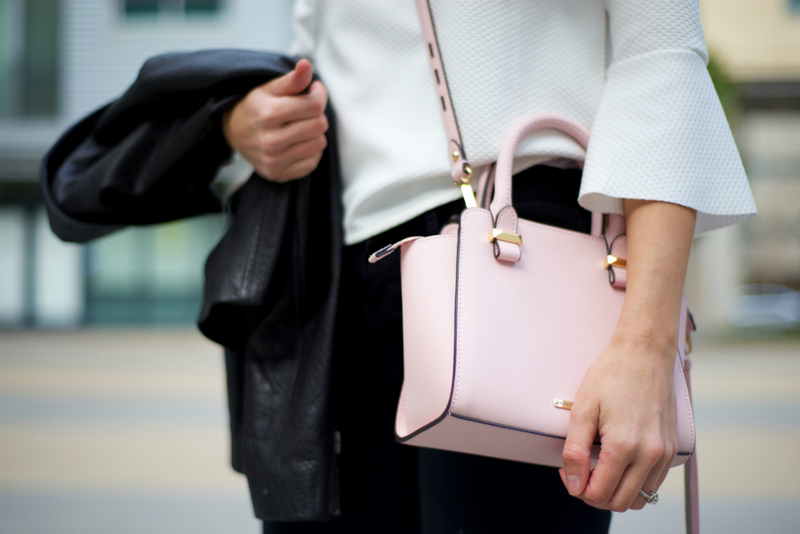 Red shoes and a pale pink bag are so fun to wear, especially on Valentine’s Day! If you are looking for something casual and don’t want to fight the crowds by going out on Valentine’s Day, then this super causal look is for you. I know a lot of you mamas out there just want to be comfy, but still look somewhat stylish. I am all about comfort these days! 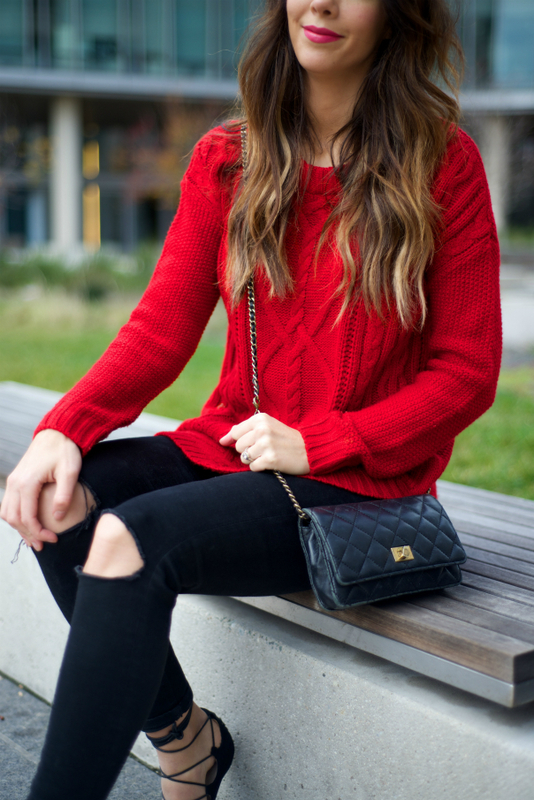 A red sweater is classic and looks great with so many different things. I love pairing it with these black skinnies and some comfy lace up flats. Thank you so much for reading and have a Happy & Stylish Valentine’s Day! See you next month!